My name is Mide. I am a teacher by profession. 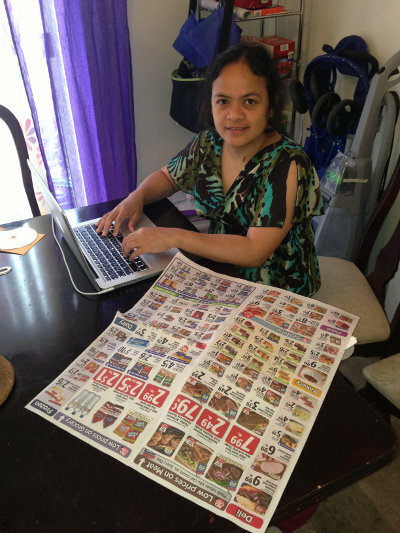 In March 2011, I started serious couponing or what others call strategic shopping. I'm a mom of two children, a boy and a girl, and they are the main reason I started couponing. Every mother wants the best things in life for her children. Being a conscious spender and a smart couponer will let you afford that. I found that some of my neighboring shops hardly have any matchups available online, so I decided to make it my job. Here in Why I Coupon we will post hot deals particularly in the Maryland and DC area. We will walk you through using coupons in order to help you save on your weekly grocery shopping. I would like to say there's always a good deal to find everyday. Remember, money not spent is money saved.